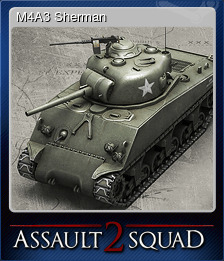 Men of War: Assault Squad 2 - Deluxe Edition | Steam | Opium Pulses - Cheap Prices, Great Service. Repell the enemy attack in first Skirmish. Break through the enemy defenses in first Skirmish. Reward for owning the Digital Deluxe edition! Repair the friendly knocked out tank in first Skirmish. Conquer all strategic points and set-up a new field HQ in first Skirmish. Complete the first US mission on easy. Call-in 101st Airborne in Skirmish. Collect 500 XP as USA. Call-in a P51 Airstrike in Skirmish. Call-in a Veteran Tiger in Skirmish. Complete the second US mission on easy. Complete the first German mission on easy. Collect 500 XP as Germany. Call-in a Goliath in Skirmish. Complete the third US mission on easy. Clean the beach of enemies in introduction. Complete the second German mission on easy. Call-in a Super Pershing in tank defense Skirmish. Ambush the Japanese reinforcments in introduction. Complete the third German mission on easy. Complete the fourth US mission on easy. Clear the road block in introduction. 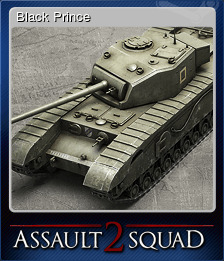 Repair and recover the secret allied tank in tank defense Skirmish. Call-in a 203mm B-4M in Skirmish. Capture the Japanese fortification in introduction. Call-in a King Tiger in tank defense Skirmish. Call-in an Artillery Strike in Skirmish. Complete the sixth US mission on easy. Complete the fourth German mission on easy. Take out the commanding officer in stealth Skirmish. Complete the seventh US mission on easy. Collect 500 XP as Soviet Union. Destroy the enemy artillery emplacement in sniper Skirmish. Complete the first Soviet mission on easy. Complete the fifth US mission on easy. Call-in a 200mm Type 4 in Skirmish. Call-in U.S. Marines in defense Skirmish. Collect 500 XP as Commonwealth. Complete the sixth German mission on easy. Complete the second Soviet mission on easy. Complete the eighth US mission on easy. Complete the second British mission on easy. Call-in a SU-100 in tank defense Skirmish. Complete the seventh German mission on easy. Complete the eighth German mission on easy. Complete the first Japanese mission on easy. Complete the third Soviet mission on easy. Complete the third British mission on easy. Complete the fourth Soviet mission on easy. Call-in German Brandenburger in defense Skirmish. Call-in a Mk.VII Churchill in tank defense Skirmish. Complete the first US mission on normal. Complete the first German mission on normal. Complete the fourth British mission on easy. Complete the fifth German mission on easy. Collect 500 XP as Japan. Complete the seventh Soviet mission on easy. Complete the sixth British mission on easy. Complete the sixth Soviet mission on easy. Complete the third German mission on normal. Complete the second Japanese mission on easy. Complete the second German mission on normal. Call-in an American Radio Operator in defense Skirmish. Call-in Guards Rifle in defense Skirmish. Complete the third Japanese mission on easy. Complete the second US mission on normal. Complete the seventh British mission on easy. Complete the eighth Soviet mission on easy. Call-in ANZAC in defense Skirmish. Call-in a Ho-Ri 2 in tank defense Skirmish. Call-in a M5A1 Stuart in stealth Skirmish. Call-in a PzKpfw II Luchs in stealth Skirmish. Complete the fifth British mission on easy. Complete the fifth Soviet mission on easy. Complete the sixth Japanese mission on easy. Complete the eighth British mission on easy. Call-in a German Radio Operator in defense Skirmish. Complete the fourth German mission on normal. Complete the fourth Japanese mission on easy. Complete the third US mission on normal. Complete the first British mission on normal. Complete the second Soviet mission on normal. Complete the first Soviet mission on normal. Complete the fourth US mission on normal. Complete the sixth German mission on normal. Complete the second British mission on normal. Burn down the enemy fuel depot in 3rd person tank Skirmish! Fulfill the second bonus objective in airborne Skirmish! Call-in a Soviet Radio Operator in defense Skirmish. Complete the sixth US mission on normal. Complete the seventh US mission on normal. Complete the eighth Japanese mission on easy. Complete the seventh German mission on normal. Complete the seventh Japanese mission on easy. Complete the third British mission on normal. Complete the first Japanese mission on normal. Complete the eighth German mission on normal. Call-in a British Radio Operator in defense Skirmish. Complete the third Soviet mission on normal. Complete the fourth Soviet mission on normal. Call-in a T-70 in stealth Skirmish. Complete the seventh Soviet mission on normal. Complete the fifth Japanese mission on easy. Call-in a Mk. VII Tetrach in stealth Skirmish. Complete the sixth Soviet mission on normal. Call-in Kamikaze in defense Skirmish. Kill all enemy snipers or armor without any reinforcements in sniper Skirmish. Complete the sixth British mission on normal. Complete the eighth US mission on normal. Complete the tenth US mission on easy. Complete the second Japanese mission on normal. Complete the seventh British mission on normal. Complete the third Japanese mission on normal. Complete the fifth US mission on normal. Call-in a Chi-ha 57 in stealth Skirmish. Collect 2.000 XP as Germany. Complete the eighth Soviet mission on normal. Complete the fifth German mission on normal. Complete the sixth Japanese mission on normal. Destroy the enemy tank ace in 3rd person tank Skirmish! Complete the eighth British mission on normal. Complete the ninth US mission on easy. Complete the fifth British mission on normal. Complete the fifth Soviet mission on normal. Call-in a Japanese Radio Operator in defense Skirmish. Complete the fourth Japanese mission on normal. Collect 2.000 XP as USA. Complete the ninth German mission on easy. Complete the first US mission on hard. Complete the third German mission on hard. Complete the seventh Japanese mission on normal. Complete the eighth Japanese mission on normal. Complete the fifth Japanese mission on normal. Complete the tenth German mission on easy. 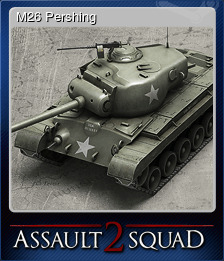 Fight your way through the enemy lines with your M4A3E2(76) Jumbo! Complete the first German mission on hard. Collect 2.000 XP as Soviet Union. Complete the second German mission on hard. 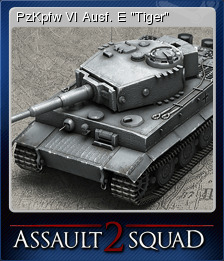 Fight your way through the enemy lines with your Veteran Tiger! Complete the second US mission on hard. Complete the first British mission on hard. Complete the fourth German mission on hard. Complete the third US mission on hard. Collect 2.000 XP as Commonwealth. Complete the sixth German mission on hard. Complete the eighth German mission on hard. Complete the first Soviet mission on hard. Complete the ninth British mission on easy. Complete the second Soviet mission on hard. Complete the seventh German mission on hard. Collect 5.000 XP as Germany. Complete the fourth US mission on hard. Complete the second British mission on hard. Complete the third British mission on hard. Complete the third Soviet mission on hard. Complete the tenth US mission on normal. Complete the seventh US mission on hard. Complete the first Japanese mission on hard. Complete the tenth Soviet mission on easy. Complete the tenth British mission on easy. Complete the sixth Soviet mission on hard. Complete the fifth German mission on hard. Complete the sixth British mission on hard. Complete the fourth Soviet mission on hard. Complete the sixth US mission on hard. Collect 2.000 XP as Japan. Complete the ninth German mission on normal. Complete the first US mission on heroic. Complete the eighth US mission on hard. Complete the seventh British mission on hard. Complete the eighth Soviet mission on hard. Complete the fifth US mission on hard. Complete the fourth British mission on hard. Complete the fifth Soviet mission on hard. 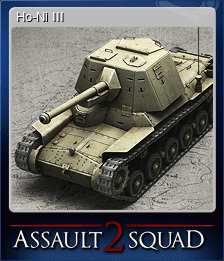 Fight your way through the enemy lines with your PzKpfw V Panther! Complete the third Japanese mission on hard. Complete the eighth British mission on hard. Complete the tenth Japanese mission on easy. Complete the third German mission on heroic. Complete the ninth Soviet mission on easy. Fight your way through the enemy lines with your Mk. 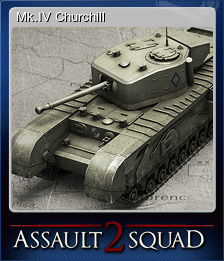 VII Churchill! Complete the third US mission on heroic. Complete the ninth US mission on normal. Complete the second US mission on heroic. Complete the second German mission on heroic. Complete the seventh Soviet mission on hard. Complete the first German mission on heroic. Complete the fifth British mission on hard. Complete the sixth US mission on heroic. Complete the ninth Japanese mission on easy. Complete the seventh Japanese mission on hard. Take out 50 enemy infantry as Germany. Complete the sixth Japanese mission on hard. Complete the eighth Japanese mission on hard. Complete the fifth Japanese mission on hard. Complete the fourth Japanese mission on hard. Complete the seventh US mission on heroic. Complete the second Soviet mission on heroic. Complete the third Soviet mission on heroic. Complete the eighth German mission on heroic. Complete the fourth US mission on heroic. Collect 5.000 XP as USA. Complete the fifth US mission on heroic. Complete the first Soviet mission on heroic. Complete the fifth German mission on heroic. Complete the sixth German mission on heroic. Complete the first British mission on heroic. Complete the seventh German mission on heroic. Complete the fourth German mission on heroic. Fight your way through the enemy lines with your Comet I (A34)! Take out 50 enemy infantry as Soviet Union. Take out 50 enemy infantry as Commonwealth. Complete the eighth US mission on heroic. Collect 5.000 XP as Soviet Union. Complete the tenth German mission on normal. 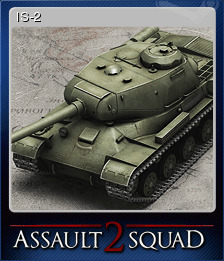 Fight your way through the enemy lines with your IS-2! Take out 5 enemy vehicles as Germany. Take out 50 enemy infantry as USA. Complete the first Japanese mission on heroic. Complete the third British mission on heroic. Complete the third Japanese mission on heroic. Complete the ninth British mission on normal. Destroy the bonus objective without alerting the enemy in airborne Skirmish! Complete the fifth British mission on heroic. Complete the second Japanese mission on heroic. Complete the eighth Soviet mission on heroic. Complete the seventh Soviet mission on heroic. Complete the fourth British mission on heroic. Complete the sixth British mission on heroic. Complete the sixth Soviet mission on heroic. Complete the fifth Soviet mission on heroic. Complete the second British mission on heroic. Complete the fourth Soviet mission on heroic. Collect 5.000 XP as Commonwealth. Complete the eighth British mission on heroic. Complete the seventh British mission on heroic. Take out 50 enemy infantry as Japan. Complete the ninth German mission on hard. Take out 200 enemy infantry as Soviet Union. Take out 20 enemy vehicles as Germany. Take out 5 enemy vehicles as USA. Complete the ninth Japanese mission on normal. Complete the ninth Soviet mission on normal. Take out 5 enemy vehicles as Commonwealth. Take out 5 enemy vehicles as Japan. Take out 5 enemy vehicles as Soviet Union. Complete the eighth Japanese mission on heroic. Collect 5.000 XP as Japan. Collect 15.000 XP as Germany. Take out 200 enemy infantry as Germany. Complete the tenth British mission on normal. Complete the fourth Japanese mission on heroic. Complete the fifth Japanese mission on heroic. Complete the sixth Japanese mission on heroic. Complete the seventh Japanese mission on heroic. 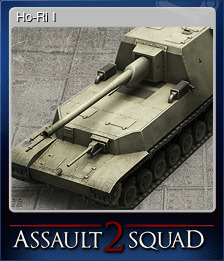 Fight your way through the enemy lines with your Jagdpanther! Win 20 times as Germany. Win 5 times as Germany. Complete the ninth US mission on hard. Complete the ninth US mission on heroic. Complete the ninth German mission on heroic. Win 5 times as USA. Complete the ninth British mission on hard. Complete the ninth British mission on heroic. Win 5 times as Commonwealth. Complete the ninth Soviet mission on hard. Fight your way through the enemy lines with your M26 Pershing! Collect 15.000 XP as Soviet Union. Complete the ninth Japanese mission on hard. Collect 15.000 XP as Commonwealth. Collect 15.000 XP as USA. Take out 200 enemy infantry as Commonwealth. Take out 500 enemy infantry as Commonwealth. Win 5 times as Soviet Union. Take out 500 enemy infantry as USA. Take out 1.500 enemy infantry as Germany. Take out 500 enemy infantry as Soviet Union. Take out 1.500 enemy infantry as Soviet Union. Fight your way through the enemy lines with your Ho-Ri I! Take out 500 enemy infantry as Germany. Take out 200 enemy infantry as Japan. Take out 500 enemy infantry as Japan. Fight your way through the enemy lines with your Chi-Ri! Fight your way through the enemy lines with your Chi-To! Take out 20 enemy vehicles as USA. Take out 50 enemy vehicles as USA. Take out 1.500 enemy infantry as USA. 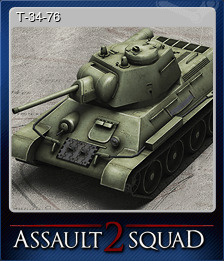 Fight your way through the enemy lines with your KV-85! Take out 200 enemy infantry as USA. Take out 20 enemy vehicles as Commonwealth. Take out 50 enemy vehicles as Soviet Union. Take out 20 enemy vehicles as Soviet Union. Complete the tenth Japanese mission on normal. Fight your way through the enemy lines with your M4A4 Firefly! Win 5 times as Japan. Take out 50 enemy vehicles as Germany. Take out 50 enemy vehicles as Commonwealth. Fight your way through the enemy lines with your SU-100! Complete the tenth Soviet mission on normal. Take out 20 enemy vehicles as Japan. Take out 150 enemy vehicles as Germany. Complete the ninth Japanese mission on heroic. Win 150 times as Germany. Win 300 times as Soviet Union. Win 150 times as Soviet Union. Win 50 times as Soviet Union. Win 20 times as Soviet Union. Win 300 times as Commonwealth. Win 150 times as Commonwealth. Win 50 times as Commonwealth. Win 20 times as Commonwealth. Win 300 times as Germany. Complete the ninth Soviet mission on heroic. Win 50 times as Japan. Win 300 times as USA. Win 150 times as USA. Collect 50.000 XP as USA. Win 50 times as USA. Win 20 times as USA. Collect 50.000 XP as Japan. Collect 50.000 XP as Soviet Union. Collect 50.000 XP as Germany. Collect 50.000 XP as Commonwealth. Win 20 times as Japan. Win 50 times as Germany. Win 150 times as Japan. Take out 150 enemy vehicles as Soviet Union. Take out 500 enemy vehicles as USA. 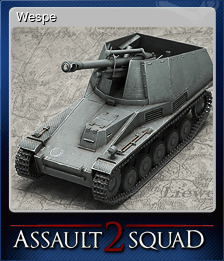 Take out 500 enemy vehicles as Germany. Take out 150 enemy vehicles as Commonwealth. Take out 5.000 enemy infantry as Japan. Take out 1.500 enemy infantry as Japan. Take out 5.000 enemy infantry as Soviet Union. Take out 5.000 enemy infantry as Commonwealth. Take out 150 enemy vehicles as USA. Take out 500 enemy vehicles as Commonwealth. Take out 1.500 enemy infantry as Commonwealth. Take out 500 enemy vehicles as Japan. Take out 500 enemy vehicles as Soviet Union. Win 300 times as Japan. Take out 5.000 enemy infantry as USA. Take out 50 enemy vehicles as Japan. Take out 150 enemy vehicles as Japan. Take out 5.000 enemy infantry as Germany. Complete the tenth US mission on hard. Complete the tenth British mission on hard. Complete the tenth German mission on hard. Complete the tenth US mission on heroic. Complete the tenth Japanese mission on hard. Complete the tenth Soviet mission on heroic. Complete the tenth Soviet mission on hard. Complete the tenth German mission on heroic. Complete the tenth British mission on heroic. PzKpfw VI Ausf. E "Tiger"